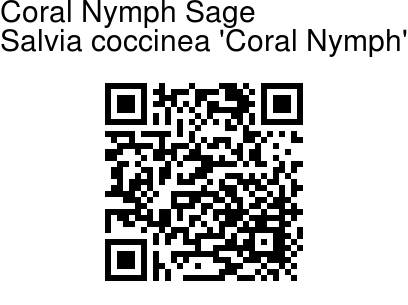 Coral Nymph Sage is a clumping perennial herb that can reach two feet tall, with heart-shaped or triangular velvet-hairy leaves. 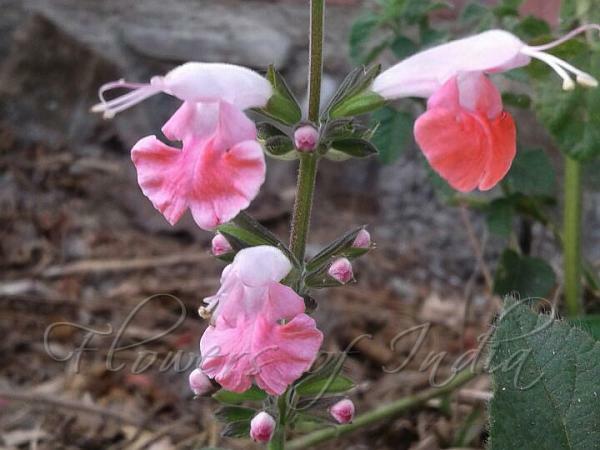 When it blooms, the plant is loaded with flowers of salmon-coral and white, tubular in shape. Flower tube is white in color outside with the inside and the lip coral or salmon colored. It is an ideal choice for containers.